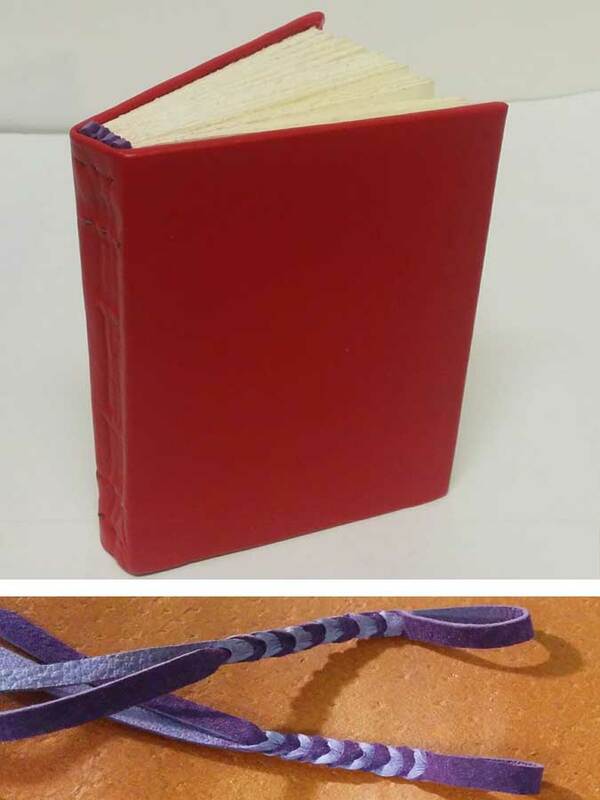 Today's binding is an Ethiopian binding. The signatures are bound with an unsupported chain stitch, and although many of these wooden books were left uncovered, some were covered partially or fully in leather. The split braid leather headband was another traditional feature; this was my first time making them. I was so pleased with the split braids that I photographed them before attaching them to the book.